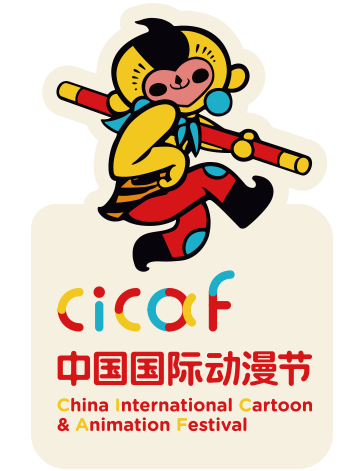 CICAF is the only state-level professional cartoon and animation festival in China. Sponsored by the State Administration of Press, Publication, Radio, Film and Television of the People’s Republic of China and Zhejiang Provincial People’s Government, this annual event has been held in Hangzhou, the capital of Zhejiang Province, since 2005. The 14th China International Cartoon & Animation Festival(CICAF) was held between 26th April to 1st May 2018 in White Horse Hotel,Binjiang District,Hangzhou, China.The festival is composed with 55 activities launched in the main venue and 10 branch venues,centering on the five boards of convention and exhibition,forum,business,competition and activity.They attracted 1.4335 million audience from 85 countries and regions,including 2,641 Chinese and foreign companies,and 5760 exhibitors and professionals.Among them,362,800 participants visited the main venue,signing contracts or cooperation intentions for 1291 projects,worth 13.835 billion yuan and relating to 2.486 billion yuan in composite consumption,totaling 16.321 billion yuan. The largest and most popular exhibition of its kind in China, CICAF is credited, by the China Animation Association (CAA), as the country’s most influential animation festival. Business sessions held throughout the festival provide opportunities for professionals in the industry to meet, discuss and do business deals in both domestic and international markets. Festival highlights include the presentation of the prestigious Golden Monkey King Award (GMKA), which is given to esteemed academic institutions and professionals for excellence in the cartoon and animation industry.